Faces surround us. Expressions of despair, joy, compassion, fear and a vast array of other emotions are on display everywhere. The face-the outward-of what is in us. It serves as a mask and as a gateway to our hearts. Faces like Carlitos. He’s precious. We found ourselves in need of more help on HOPE Mountain and this cherished face came to mind. It’s interesting how such simple words transform lives. Because Ruben believed, Carlitos changed. He saw this belief wasn’t just words, it was displayed every time we left him alone on HOPE Mountain with all of our belongings. One of our visiting teams gave him a bible and he reads it every day. Some evenings, he sits at our massive table to tell us the stories he’s learning in that grand black book. I won’t forget the day he came running to me with a five hundred peso bill in hand, “Vicki, I found this at the gate. I think someone dropped it.” He didn’t keep it for himself. “Vicki, my little sisters need school supplies. Can you help them?” It was my pleasure. He didn’t help himself, he knows where we keep the school supplies. 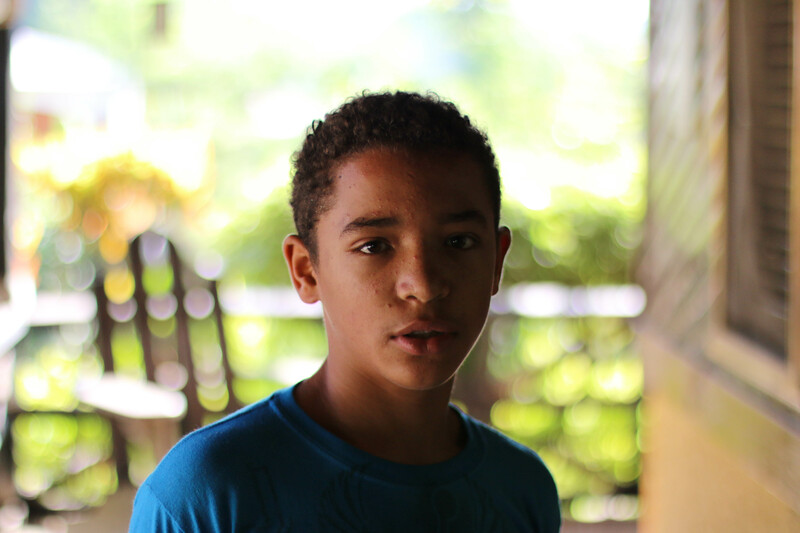 This is just one face of the many we’ve seen transform while in the Dominican Republic. A special face that takes our breath away-every day. His life will never be the same again, simply because someone believed in him. And because you believed in us, we can share in his metamorphosis together.